BLT for LabVIEW needs an email address. By default, the email address is the one used when you registered your license to use BLT for LabVIEW. This email might also be displayed to your end-users if they are prompted to contact their software administrator. •On the Email Configuration tab, enter your email address and click Save. 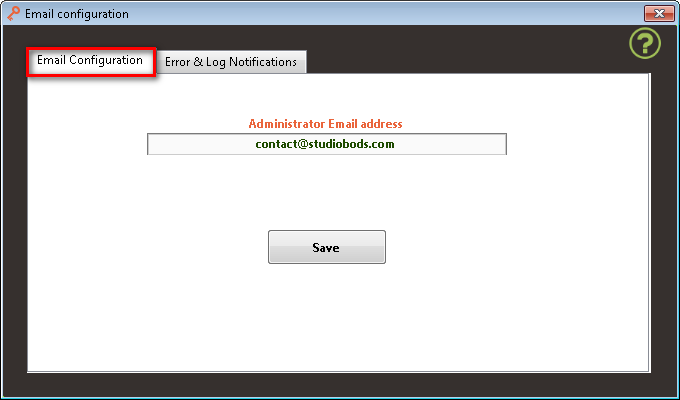 See here how to create Email Notifications for logging and errors.